Ottawa is the current county seat of Franklin County. The town was named after the Ottawa tribe of Indians, in the heart of whose reservation the town was laid out. 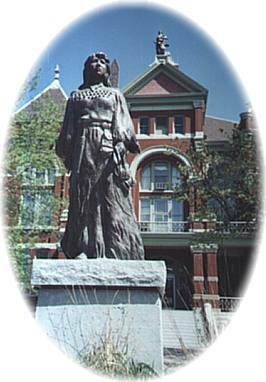 Indian ownership prevented settlement until the spring of 1864. Less than 20 years after Ottawa, in its early days gained fame in Kansas, as well as in neighboring states, as home of the Chautauqua Assembly. It was the second largest of its kind, established in 1883, and it brought to the Midwest a cultural program the enriched the lives of thousands of people. The assembly attracted such famous speakers as William Jennings Bryan; President, William McKinley; President, Warren G. Harding; President, William H. Taft and President, Theodore Roosevelt. Visit the Old Depot Museum. This two story passenger depot was built in 1888 and today serves as a museum. The Victorian-era mansions and buildings designed by the Famous Kansas Architect, George Washburn, who made his home in Ottawa for nearly 60 years, are truly magnificent architectural gems. The Ottawa Municipal Auditorium offers a variety of musical and performing events year round. The Ottawa Community Arts Council also offers monthly exhibits featuring local and regional artists. The OCAC provides special classes for children and adults. The Arts Council sells original art works and prints including the "Buttons" drawing by Grandma Layton.